The industrial market uses a large variety of chemicals that need the corrosion protection reliability that fiberglass affords. Some of these industries are: food processing plants, chemical plants, fertilizer manufacturers, automotive (used oil collection tanks), textiles, plastics/rubber, mining, paper/pulp, just to name a few. Fiberglass tanks hold a variety of chemicals like Sodium Hypochlorite (bleach), Ferric Chloride, Sodium Hydroxide, Sulfuric Acid, Phosphoric Acid, Alum and many more. The chemical industry is another area where fiberglass tanks are an excellent choice for their durability and corrosion resistant properties. 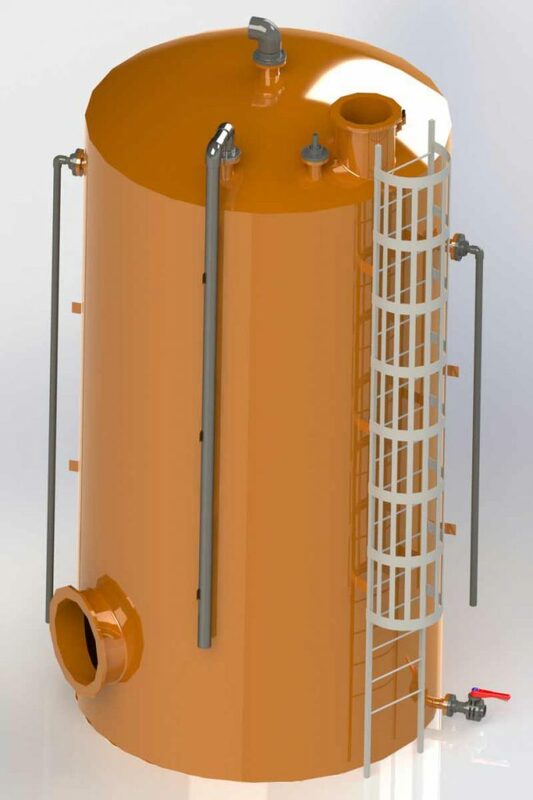 Our design team will develop the exact fiberglass tank to meet all requirements. Our resin chemist will match the proper resins to withstand the chemical properties of the product being stored assuring our customers a quality, long lasting tank. Nationwide Tank and Pipe, also provide stainless steel tank options where necessary to meet customers specialized applications. Our stainless steel tanks and mixers combine durability with convenient design features to enhance processing flexibility.